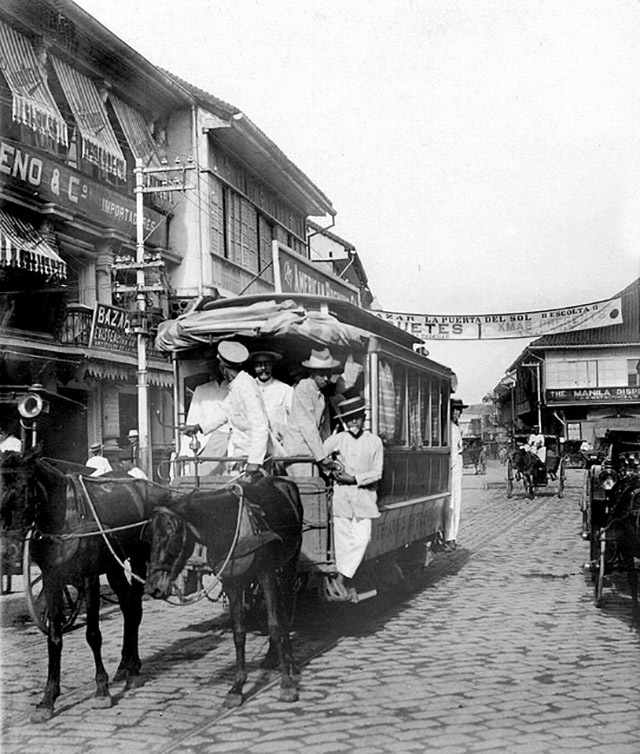 Many of Manila's pioneer establishments had their beginnings in Escolta, Manila's "Queen of the Streets." 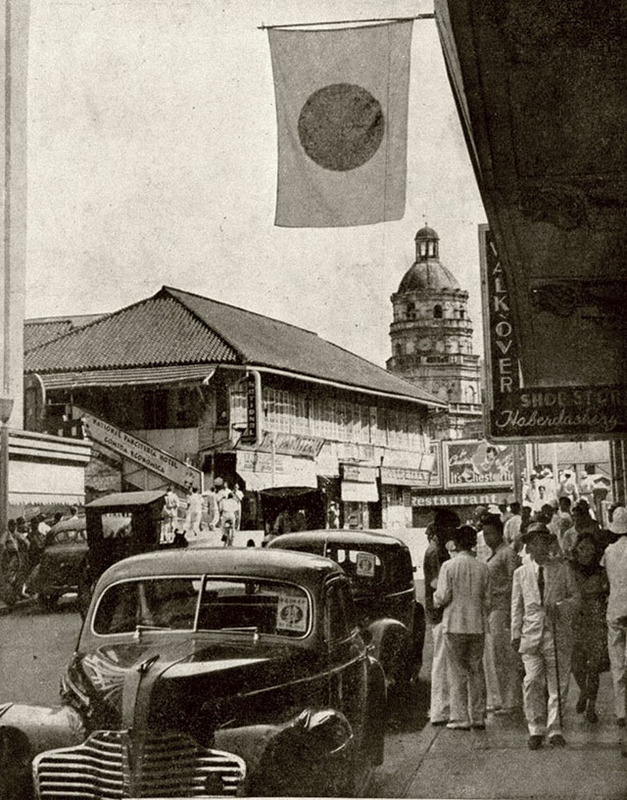 Let us transport you to Old Manila in the 1930s. Welcome to Calle de la Escolta, definitely the main haunt of the the fashionable set in the early 20th century. Weekends have become much more exciting with many new establishments embellishing the avenue.Trendy business and shopping spots are opening here and there, thanks to American investors setting up shop. Located in the downtown district of Binondo, Manila, Escolta first became a place for Chinese merchants to make a living through the galleon trade. 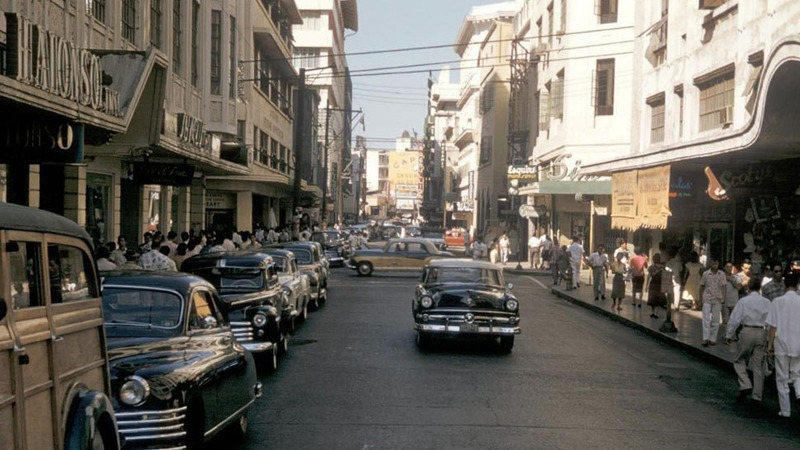 It then became known as a shopping mecca catering to Manila society. When the American troops arrived and the Spanish-American war commenced, the street filled up with saloons and soldiers engaging in shenanigans. The end of the war saw a change in all that and Escolta's commercial identity was returned. One of William Howard Taft's first projects was to remove the watering holes and give Escolta a much-need facelift. The street then flourished with both old and new establishments. 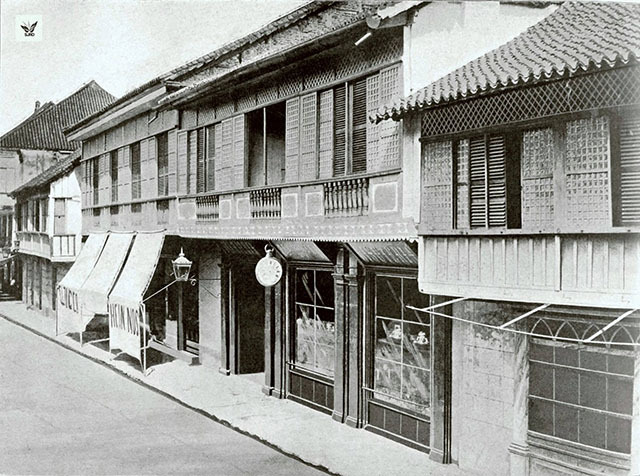 The Salon de Pertierra, established by the Spaniard it was named after, was the first cinema in the Philippines, and brought Manileños their first silent foreign films. 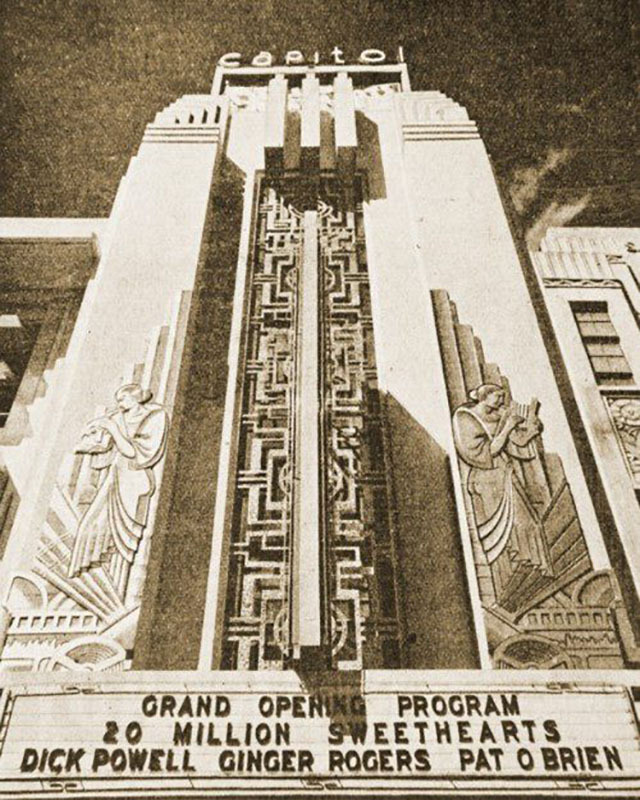 It would later be overshadowed by more modern movie theaters such as the Capitol and Lyric Theaters in the mid '30s. Save for the calesas on almost every street corner and a few buildings showcasing the original architecture retained from the Spanish period, it would have been easy to forget Escolta was in the Philippines. The heavily Westernized strip took a page from the streets of modernized America. The horse-drawn tranvia resembled the tourist trams of San Francisco, while the signage could easily be likened to the lit-up letters on New York's Broadway. One of the greatest landmarks of that by-gone era was Clarke's Ice Cream Parlor, founded by M.A. Clarke. It was located at the foot of the Bridge of Spain, now known as the Jones Bridge (which, just a few days ago, was the setting for millions of Black Nazarene devotees gathered like sardines while fulfilling a 22-hour procession). 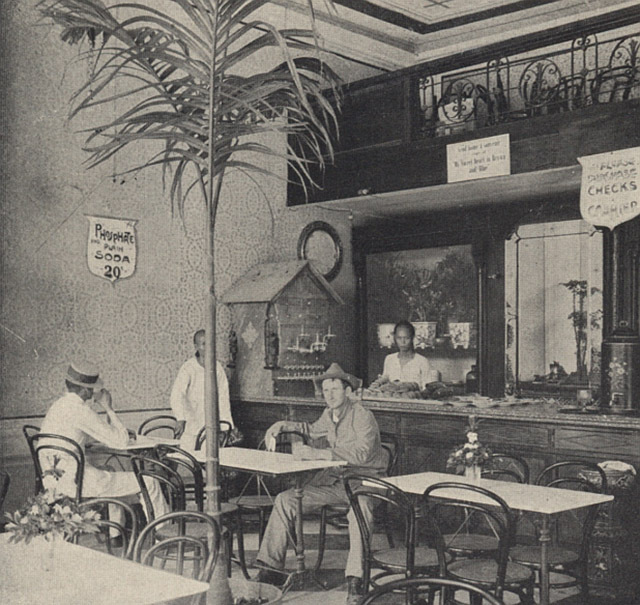 These days, one can still visit a similar soda fountain shop at Escolta Ice Cream at 237 Escolta. 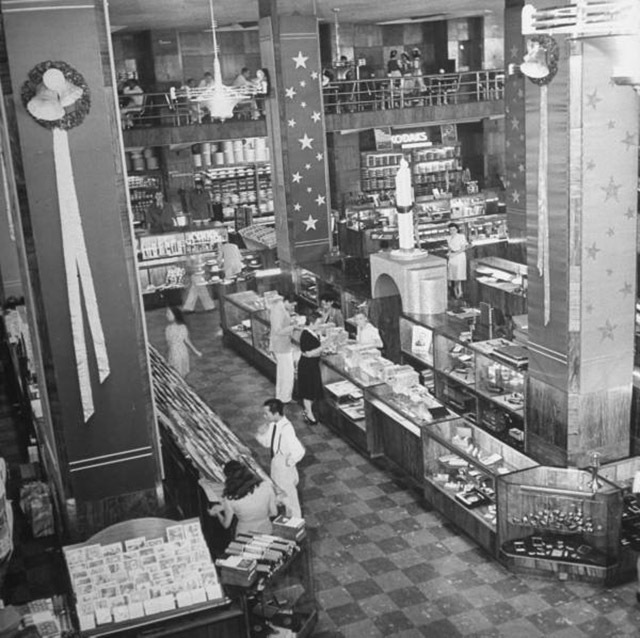 Aside from the ice cream parlor, other establishments christened as Escolta firsts were the first American department store (American Bazaar, later named Beck's), the first elevator (located inside Burke Building), and the first savings bank (Monte de Piedad). 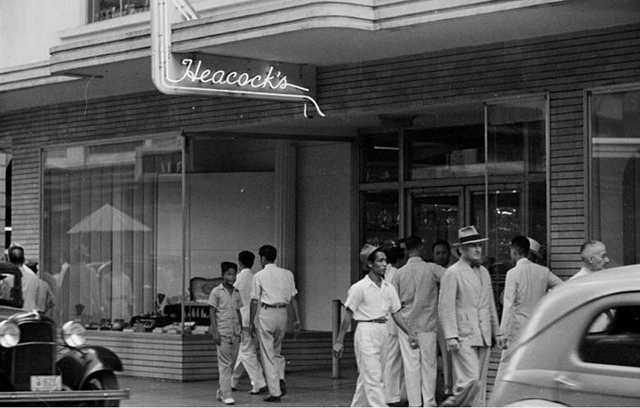 Before retail giants SM and Rustan's came into the picture, the city's well-heeled flocked to Beck's and later, the trendy Heacock's in 1941 to do their shopping. Art Deco structures dominated the Escolta strip, with known architects favoring the design movement during the '20s and '30s. The area contained several notable buildings designed by our history's greatest architects. There was the neo-classic Regina Building, designed by Juan Luna's son, Andres Luna de San Pedro, which remains a structural beauty until today. The same architect also headed the construction of the Crystal Arcade, which housed both the first air-conditioned shopping center and the Manila Stock Exchange. Close by, another equally stunning building, El Hogar showcased the Parisian style of Beaux-Arts design, with numerous courtyards and balconies installed. 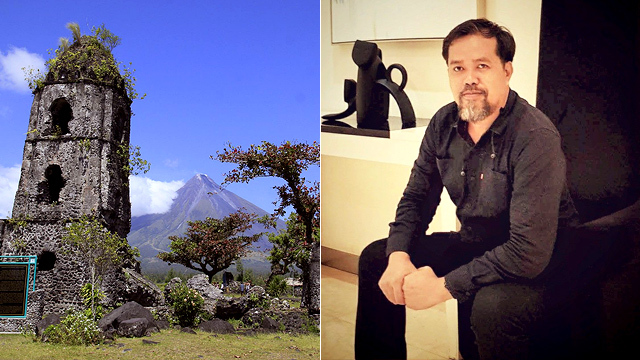 There's word that this skyscraper, designed by Ramon Irureta-Goyena and Francisco Perez-Muñoz, was a wedding present for Spanish businessman Don Antonio Melian Pavia and wife Doña Margarita Zobel y de Ayala, according to Choose Philippines. Structures ravaged by air raids and Japanese troops left some of these architectural wonders, such as the Crystal Arcade, in ruins. Meanwhile, gems like National Artist for Architecture Juan Nakpil's Capitol Theater decayed over time and were scheduled for demolition. 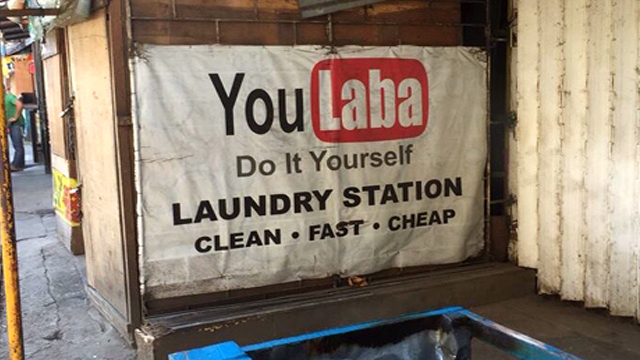 Sadly, Escolta has lost its pre-war glamour. The resurgence of Escolta as a cultural hub, commercial center for aspiring artists, and architectural hotspot is well underway, but it will take decades of refurbishing and rebuilding before it is eventually restored to its former glory. It did, after all, take years from its establishment in 1594 to reach its potential as a commercial center during the Spanish-colonial period. This carried on until the popular Manila area peaked after the Americans colonized the Philippines. Today, Escolta is brewing a new kind of magic with artists, businesses, and the youth taking an interest in it once more. There are also many efforts to preserve its memory, with educational fixtures like the Calvo Museum, filled with memorabilia of the old Escolta Building, being repurposed and given new life. The iconic First United Building now houses a hip co-working space and fairly new retail ground HUB: Make Lab. Will this Queen of the Streets, as it was once called, regain its title? We remain hopeful.